What happens when a malicious user has access to more than just an NTLM hash? Digest Authentication is a challenge/response protocol that was primarily used in Windows Server 2003 for LDAP and web-based authentication. It utilizes Hypertext Transfer Protocol (HTTP) and Simple Authentication Security Layer (SASL) exchanges to authenticate. 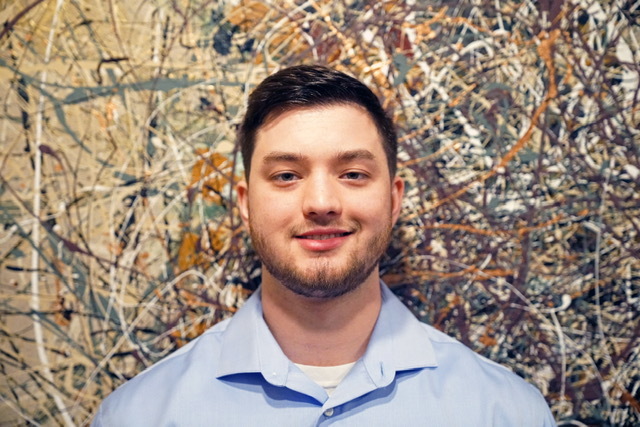 At a high level, a client requests access to something, the authenticating server challenges the client, and the client responds to the challenge by encrypting its response with a key derived from the password. The encrypted response is compared to a stored response on the authenticating server to determine if the user has the correct password. Microsoft provides a much more in-depth explanation of WDigest, how it works, and some of its uses here. Windows security auditing should be a priority for everyone, understanding how your endpoints are configured and what doors they may be opening for malicious users is pertinent to protecting any environment. This is where WDigest comes into play, something to be concerned with related to WDigest is that it stores passwords in clear-text, in memory. If a malicious user has access to an endpoint and is able to run a tool like Mimikatz, not only would they get the hashes currently stored in memory, but they’d also be able to get the clear-text password for the accounts as well. This is obviously a concern because now not only are they able leverage an attack like pass-the-hash, but they’d also now have the username and password available to try to logon to things like Exchange, internal web sites, etc. 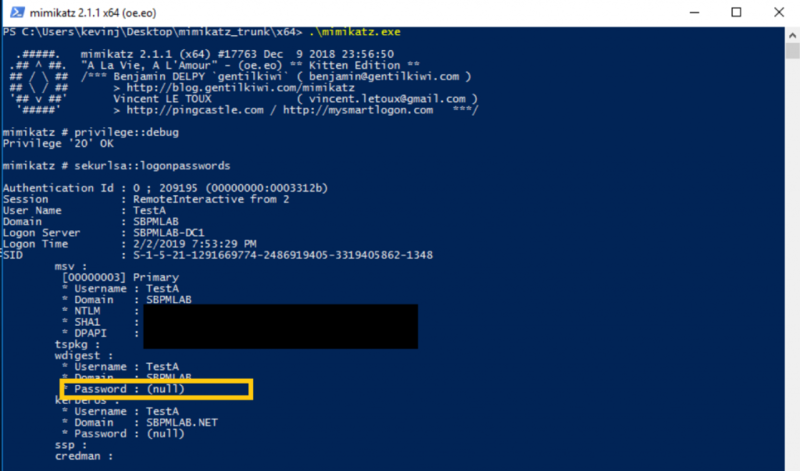 Here is an example of what an attacker would see when dumping credentials in memory with a tool like Mimikatz; the user “TestA” used remote desktop to log onto this machine, and because the specific configuration around WDigest is configured in an insecure manner, not only are they seeing an NTLM hash for the account, but the clear-text password “Password123” as well. Once you’ve pushed the security update, and the registry key update to all of your servers, you can ensure you’ve done it successfully by querying the registry to see that it exists and is not set to 1. A configuration related to WDigest could hinder the security of your environment, specifically on the endpoint, by allowing an attacker to steal clear-text credentials from memory. There are measures you can take to remediate this, and ensure that your endpoints and credentials are more secure. Microsoft’s security update (KB2871997) addresses the issue on older versions of Windows, whereas newer versions should be secured by default. 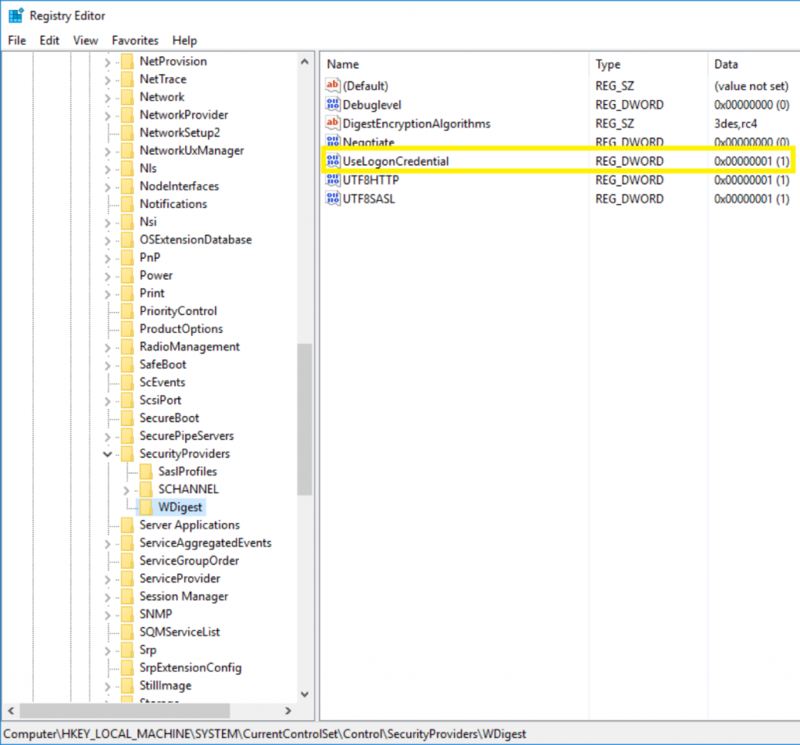 Checking the registry on all of your Windows endpoints for this WDigest setting should be a priority, as the loss of credentials could lead to loss of sensitive information. One way to do this would be through quick command line queries against all your hosts, but a quicker way would be to automate this type of auditing against your endpoint and have this data presented to you in an easy to consume report. StealthAUDIT for Windows offers this functionality and more in an easy to use, scalable solution that will assist in auditing your entire infrastructure.